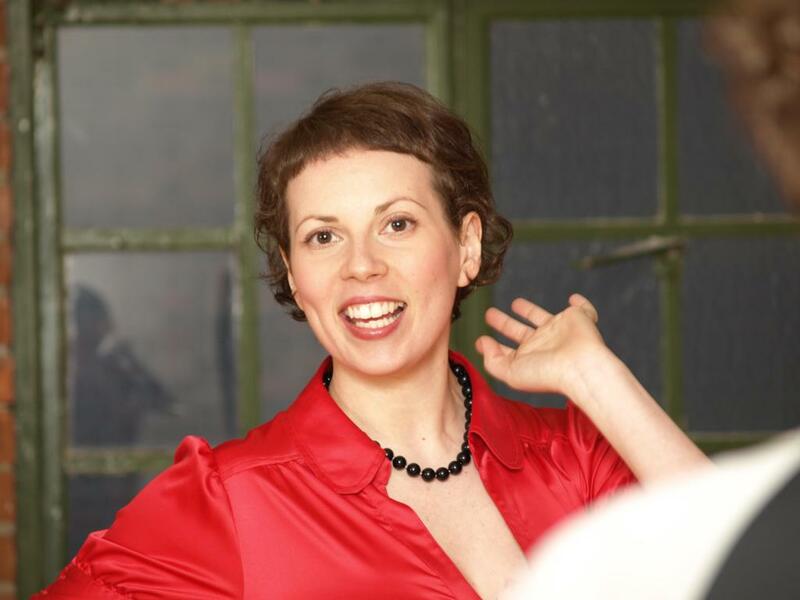 Mandi Gould has been passionate about Lindy Hop since she first laid eyes on the dance in 1998. The highlights of her life were assisting legendary swing dancer Frankie Manning with workshops in 2002, 2006 and 2008. Now she dedicates much of time as a member of the Board of Advisors for the Frankie Manning Foundation. Following Frankie’s example, she is dedicated to spreading the spirit of Lindy Hop as a joyful, inclusive, and welcoming dance. Mandi feels strongly that there is no such thing as two left feet, that it’s never too late to learn, and that Lindy Hop is a dance for real people from all walks of life. Mandi Gould is the original founder of Bees’ Knees Dance in Toronto where she taught as Head Dance Instructor for 16 years and is also the co-founder of Toronto Lindy Hop. Her dance instruction has taken her across Canada, the United States, Switzerland, Sweden, Russia, China, South Korea, and Japan. In 2002 she spent time in Saint Petersburg and Moscow where helped with the early development of the Russian Lindy Hop community. In 2003 she managed two North American tours for the Harlem Hotshots and from 2002 to 2004 she assisted as a key administrator for the Herräng Dance Camp, was Herräng’s original DJ Coordinator, and organized the Swing Bus in 2004. In May of 2014, she was the Overall Producer for the largest swing dance festival of all time, Frankie 100, in New York City, including the show Swingin’ Frankie’s Way at Harlem’s World Famous Apollo Theater. In 2016 she organized a special Lindy Hop event at the Rockefeller estate in Tarrytown, NY and is currently planning Swedes in New York City taking place in May 2019.